Based on the success of the existing QuickScan models, Datalogic has developed a special version for particularly wide barcodes. 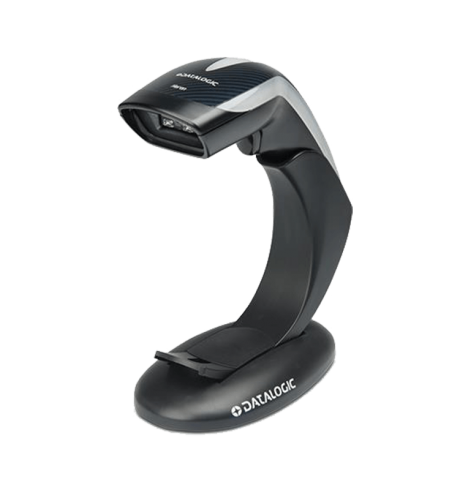 This 1D device is ideal for everyone who is looking for a handy, well-performing scanner with a small price tag. The linear imager reads all standard 1D codes and linear GS1 DataBar codes. Thanks to its widened, bright scan line it also scans wider than usual barcodes, such as those used in particular regions and by manufacturers of electronic parts. In combination with the special folding stand, it is flexibly set-up in retail, banks or light industry in both handheld or presentation mode. Its patented Green Spot scan confirmation ensures for good ergonomic qualities, as do its light weight and compact housing with a protective non-slip rubber surface. This keeps the QuickScan fully operational even after repeated drops from a height of 1.5 m. Its IP42 certification guarantees protection against splash water and dust, and its three-year warranty secures your investment. For easy integration, choose between the USB and keyboard wedge/RS232 interfaces.